Positive reviews from our Live Chat feature! 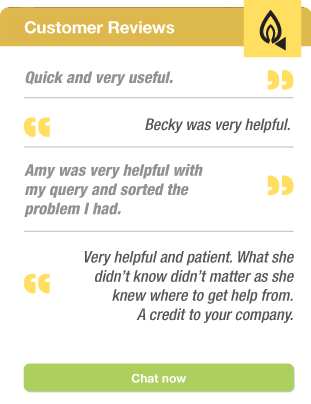 Our customer service ladies, Becky and Amy, are on hand to deal with any enquiries through the live chat feature, and it’s encouraging to see so many happy customers! If you need technical help or it’s simply a product query, get in touch now.